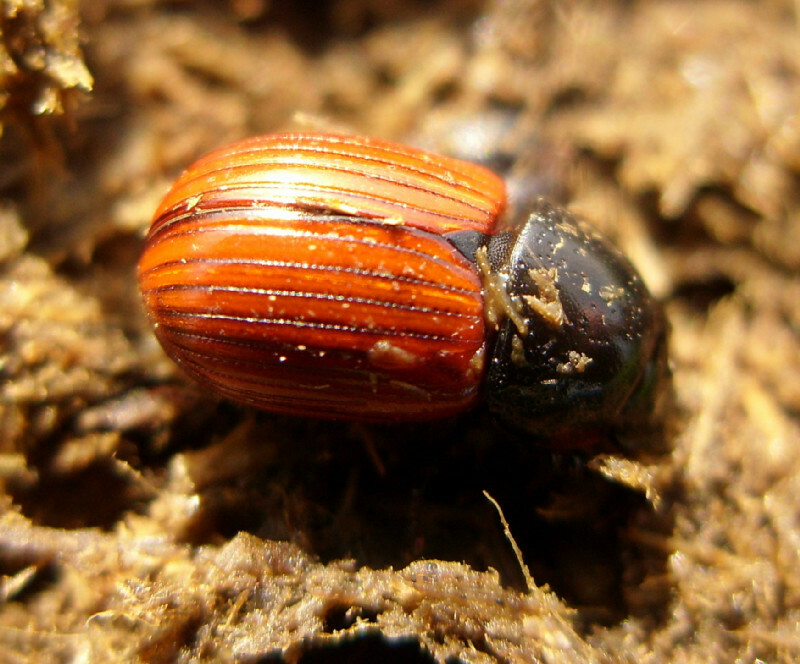 This rather cylindrical looking Dung Beetle has an orange-red ribbed elytra with a black head and thorax. There are other similar species but A. fimetarius has an even border around the thorax which also has yellow side patches. 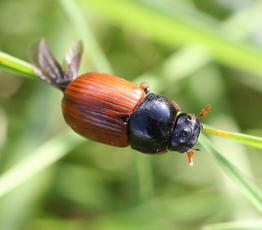 Females are larger than the males, at up to 8 mm in length. 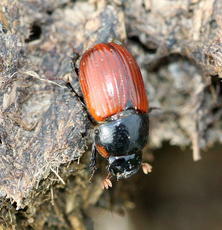 Often around herbivorous animals or in their dung, but is also attracted to lights, so may be found in well lit areas. Throughout the year peaking April to October. They feed on all sorts of herbivorous dung. Although thought to be fairly widespread in England and Wales actual status is unclear as the species has been split, and it is difficult to assign previous records between Aphodius pedellus and Aphodius fimetarius. 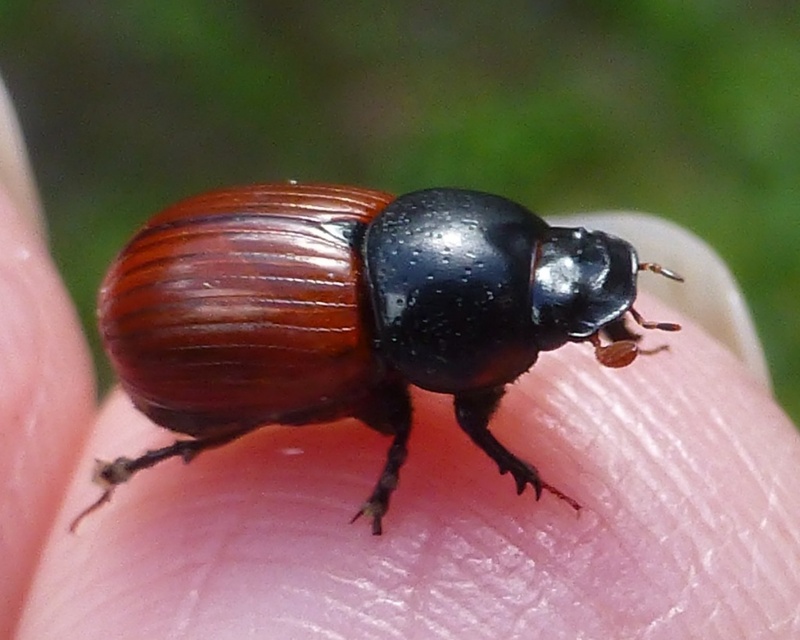 Status in Leicestershire and Rutland is unclear as the species has been split, and it is difficult to assign previous records between Aphodius pedellus and Aphodius fimetarius.